Established in the year 2016, Boombet Online Casino is a fairly new addition to the online casino world. The casino boasts a whopping 250 titles that are offered by some of the biggest names in terms of gaming software development. This Casinoguides.ca review will give you all the information you need on the casino. CyberRock Entertainment N. V. is the name of the company behind the development and design of BoomBet online casino. The company has quite a number of casinos under its belt thus explaining the entry of Boombet into the online casino universe guns blazing. The casino offers quite a number of bonuses to entice new users including a free casino bonus. Online casinos entice new players into signing up by offering an online casino bonus that is hard to resist and BoomBet Casino does know its way round enticing new casino players into signing up. The casino has a 100% match deposit bonus that runs all the way up to $100. That’s not all. The cash deposit bonus is coupled with 200 free spin bonus. 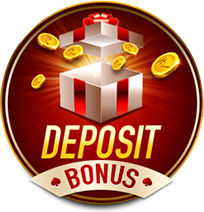 The deposit match bonus can be claimed all at once upon registration. Free spins are divided int 10 and you can use 20 free spins for the next 9 consecutive days after you register. Wagering requirement for the cash bonus is a rather high 70X and in the case of the free spins, the requirement is 35X and it is coupled with a minimum conversion limit of $100. So as to claim both the cash and free spin deposit bonuses, you are required to meet the age requirements of the casino as well as the country in which you reside in. You will then have to create a new account, link a payment method, and deposit a minimum of $25 so as to be eligible for the bonus. BoomBet casino offers over 250 titles for iGamers to enjoy at the site. Their game selection includes all types of slots, from classic slots to progressive slots to video slots. Some of the top software providers are responsible for the development of the games that are offered at Boombet Casino. Some of them include the likes of Microgaming, Betsoft, Rival Gaming and NetEnt. the casino offers some of the most popular slots offered by these software developers and they include Gonzo’s Quest, Aloha! Cluster Pays, Glow, Twin Spin, Boom Brothers, Once Upon A Time and A Night In Paris among others. Before you play at the casino, you can read up on a few casino tips to maximise your gameplay. Players that fancy table games can find a rather healthy selection at BoomBet casino. The table games offered at the casino include Blackjack, Craps, Baccarat and Roulette. The casino offers different variations of these popular games such as Pontoon, Spanish 21, 21 Burn Blackjack, American, European and French Roulette among others. Video Poker fans are also not left behind as the casino offers quite a number of variations of the game. They include All American Poker, Deuces and Joker Poker, Deuces Wild, Double Bonus Poker, Joker Poker, and Jacks or Better among others. 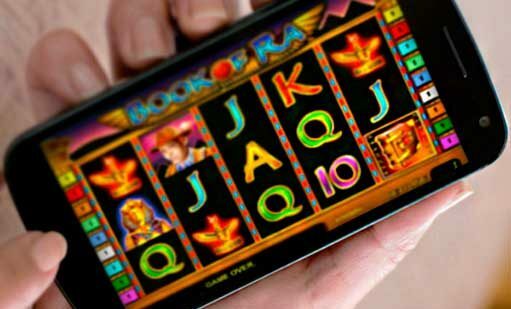 Players that prefer playing while on the go have something to look forward to since the casino has a fully functional mobile platform that offers mobile slot games. Boombet Casino offers its players quite a number of payment methods that are not convenient, they are easy to access as well. These methods are popular in Canada and Canadian users can easily make deposits using any of them. Casino winners have five methods they can use to make their withdrawals and they are listed above. The casino does have limits especially when it comes to withdrawals with the weekly limit being $500 and the maximum monthly limit being $2,000. The payout speeds when making a withdrawal at the casino varies with the payment method you wish to use with bank transfers taking up to a week to complete while e-wallets are almost instant. Customer support is one of the most important things to consider before you decide to create an account at a casino and Boombet Casino takes the satisfaction of its customers very seriously. The support team that is in charge of ensuring the satisfaction of players on any casino-related issue consists of a team of highly trained professionals. The casino has a live chat option available and you can get in touch with a representative 24/7. That’s right, even on holidays. You can also reach the team via a manned email with the reply time typically being within 24 hours. The casino also has a very helpful FAQ page on the site where you can find quick solutions to your queries. Boombet Casino holds a license from the jurisdiction of Curacao and is also approved by eCOGRA which means that it offers safe and fair gameplay. On top of that, the casino has put in place state of the art 128-Bit encryption security systems that prevent any third parties from accessing any of your information. In a nutshell, Boombet online casino is a pretty solid casino. They offer quite the selection of games and players with different tastes and preferences will definitely find something that suits them. The free casino bonus offered provides a great gateway to check out what Boombet has to offer. The casino has a mobile platform that enables you to access their services while on the go which is a must-have for online casinos in the 21st century. The payment methods they offer are suitable for players based in Canada as well. They have a pretty good support team that is friendly and always ready to help. Their security systems are state of the art so you don’t have to worry about your private information falling into the wrong hands. This Casinoguides review goes through everything you need to know so as to decide whether to create an account at the site. All in all, the casino is definitely worth checking out. The registration process at Boombet Casino is rather simple. All you have to do is visit the casino’s official website, hit the “Play Now” button, enter the details required by a form that will appear and voila! Now you can fund your account and play away. Yes! The casino has employed state of the art encryption to ensure that your personal data is safe. On top of that, the casino has put in place industry-standard firewalls on their servers to prevent any intruders from accessing the information.